On the 8th of November Midas.Investments got a voice session, where Trevor, CEO of Midas.Investments talked about achievements that project reached and future developments that will change the masternode market and answered community’s questions on the project.Here is the summary of the talk. On 7th of October, the first block of Midas coin was produced and only one month passed.What have Midas team achieved during this month?We reached top volumes on Crypto-bridge, managed to keep the price stable after the initial high ROI dump, and now we are based on the private sale masternode price.Our marketing department got us on 17 different listings and ten more to come soon. 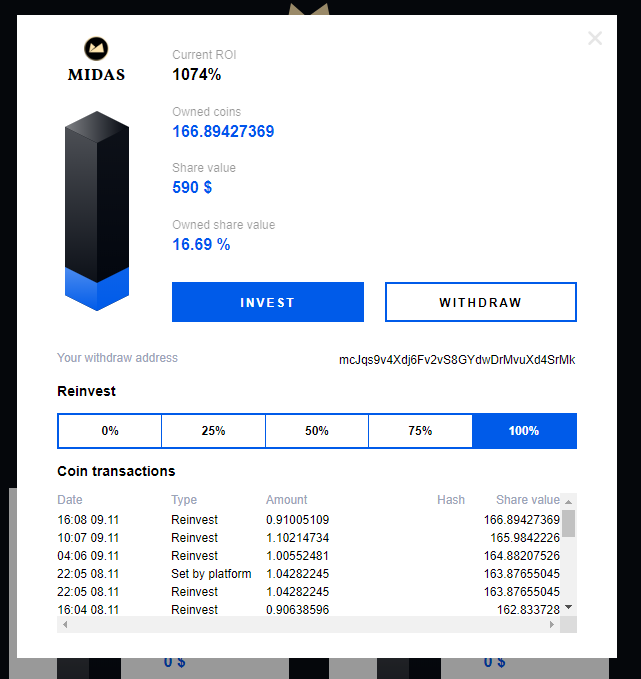 Due to the variety of bounties, Midas created a community made of 12 000 members.To make this possible Midas burned a total of 18 masternodes, 9 of which were bought back from the market on the platform’s profits. More than 11 BTC were taken out of circulation, and almost 10% of the whole masternodes count. Midas.Investments platformMidas worked hard both on development and partnerships. The platform currently is in the beta public test phase that will end with the official release on 12th of November. The platform has 30 masternode coins to choose from, and all of them have automatic payouts, instant deposits and withdrawals and partial reinvest feature.Midas already has more instant share coins than any other shared masternode service with 30 coins being onboard. We continue our expanding, and during the first month, we got four coins paid for listing on the platform: 1 masternode and 125 Midas per coin. We are waiting for three more projects to list soon. We believe that listing on Midas.Investments will become the mustfor any masternode project. Midas aims to achieve this by providing discounts for coin developers to other services and listings, for example, a discount on KYD verification, Coinexchange, and Escodex listings (that Midas already has).This tremendous results of partnerships are made by the hands of our new Partnership Development Lead, Dan Carson. In only two weeks of work, he managed to complete deals with four coins and three partnerships. Dan thinks that Midas.Investments should list only verified projects that proved their reliability, and he focuses on making such partnerships. Future plans on increasing Midas influenceWe did a lot during the first half of Autumn, but we will plan to complete more in the next month, when platform features development and marketing campaigns are planned. Here are some of the things that we will be working on until winter.An official release of the platform on 12th of NovemberWe are going to polish user interface and user experience by adding some small fixes and features you have been asking.The platform marketing campaign after the launchYoutube bloggers and twitter influencers are already waiting for the official start to highlight the critical features of our platform.We plan to create a lot of content for our blogs and youtube channel. I believe that Midas will become one of the leading masternode authorities due to expert analysis of projects and market. You will see a lot of educational stuff on our channels, so make sure to follow it.More listings and partnerships to increase the value of Midas coin and the platformWith each ally, Midas coin becomes stronger. We are spreading our network through and beyond the masternode market by making both beneficial partnerships with exchanges, listings, and other currencies. And what can be better for a coin than a great partnership? The new financial model of Midas.Investments will save you $140 per monthRight now we have a fixed 5% fee from all rewards our platform is producing. It is creating a disbalance, when Midas receives a lot on high ROI masternodes backed up by mediocre projects and pays from its pocket to administer great projects with low ROI masternodes. Therefore, we decided to change our financial model to a fixed rate.In a couple of weeks, you will be paying $10 in Midas or $15 in coin for one masternode hosted per month. That means if you have one Midas masternode on the platform instead of paying 5% of rewards per month (40 coins or $150 per month) you will be charged only 2,5 Midas or $10. We think that you can make great use of that money.If you have less or more than a masternode, Midas.Investments calculates the number of coins you have in a share and rounding it up to 1/10 of collateral. After that, it charges the fee. So if you have 280 coins, you will be charged $3 per month or 0,09 cents per day in Midas coin.That system allows us to add great projects on the start and giving you all the benefits from it, meanwhile supporting good old projects that have low ROI, but awesome fundamentals. Let’s summarize everything that has been said before into one pictureMidas platform is launching on 12th of November. 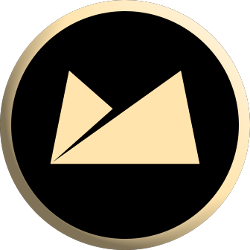 Combine it with new coins listed, partnerships made and marketing campaign after the launch and you will see that it is going to be one of the biggest releases on the masternode market.Midas works on creating educational and analytical content about masternode market. That allows becoming one of the leading players in masternodes.The new financial model that benefits both users and great projects and uses Midas coin as a fuel will increase the revenue and potential users of the platform. Therefore, Midas will have more money to spent on Burning and keeping the price growth.More coins to be listed on Midas.Investments and actual use of Midas on the platform means the vast increase in demand on an exchange.Our primary goal is to increase the overall value of our project because this is the only way to have a significant long-term product with the best masternode coin.